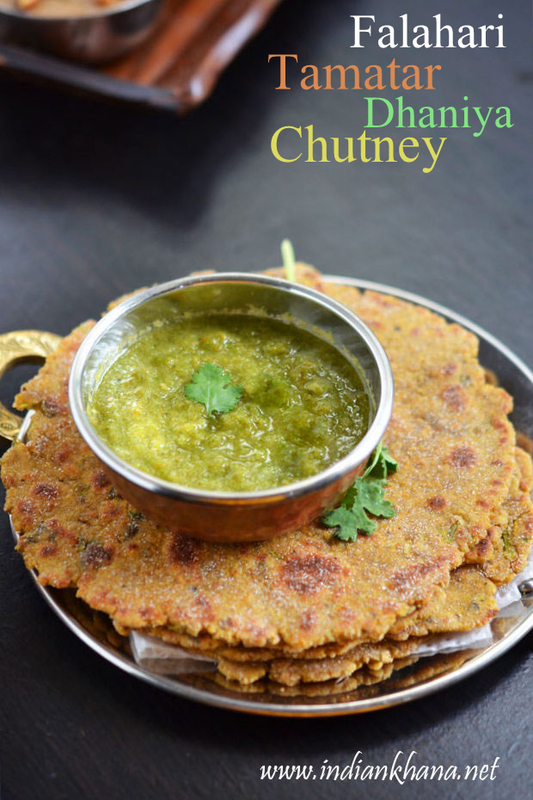 I made this during on 1st day of Navratri along with rajgira parath as I am fasting for Navratra, and it goes so well with the paratha but for all the kuttu pakoda, aloo pakoda try this even with chilla, the idli, dosa and uttapam I posted, this will get pair along well with all those tiffin items. The recipe is very simple and straigh forward doesn't take much effect to make this. 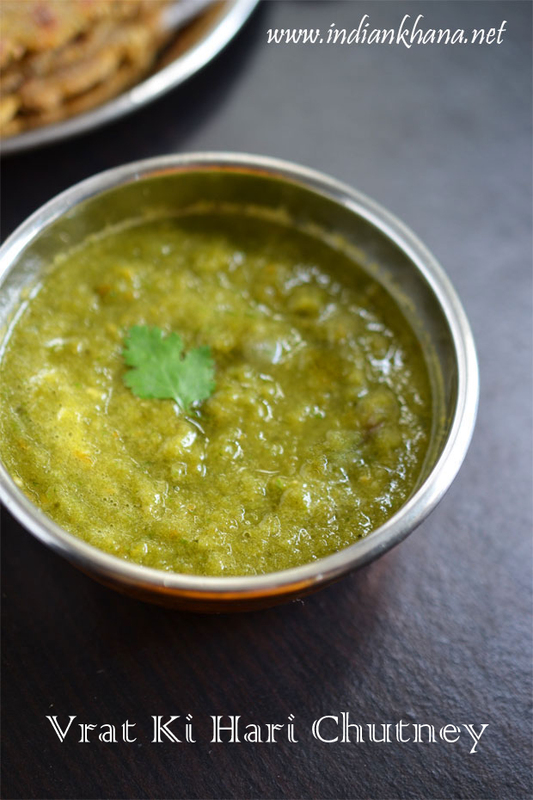 Phalahari green chutney with tomato & coriander leaves chutney Navratri for fasting or vrat. 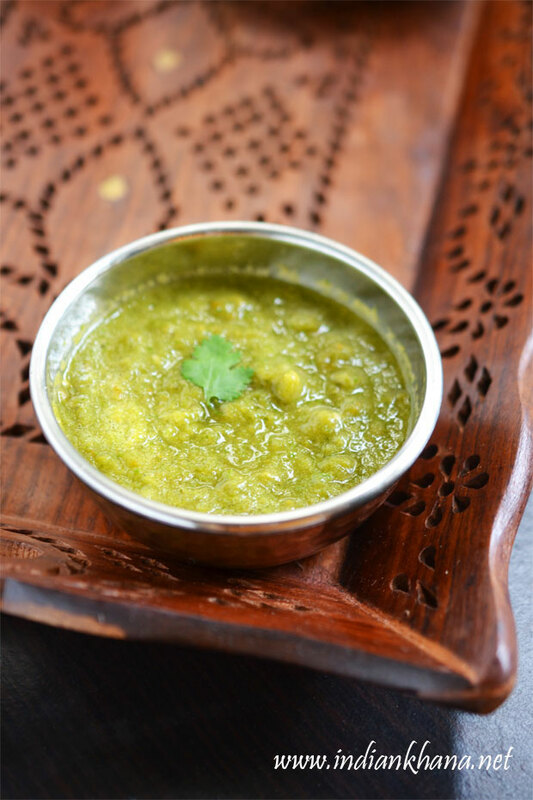 Wash and chop tomato, halve green chili, grind together with rest of ingredients other than lemon juice into fine paste, don't add water. If using lemon juice add now and mix well. Serve with anything of your choice, works great with paratha, pakode, chilla etc during fasting. 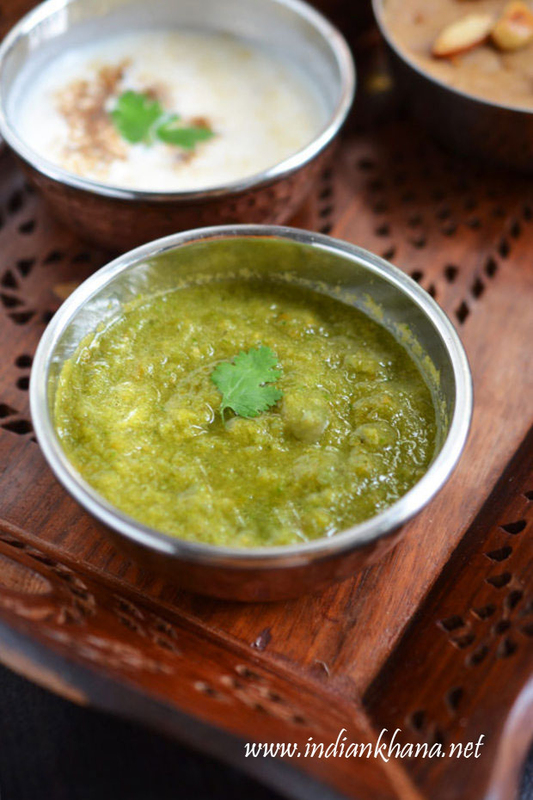 Delicious, easy Navratri (vrat) ki Green Chutney or hari chatni.